Original watercolor artwork by a unique artist. Watercolor painting existed long before oils were used. The oldest existing paintings, found in Egypt, are watercolors! 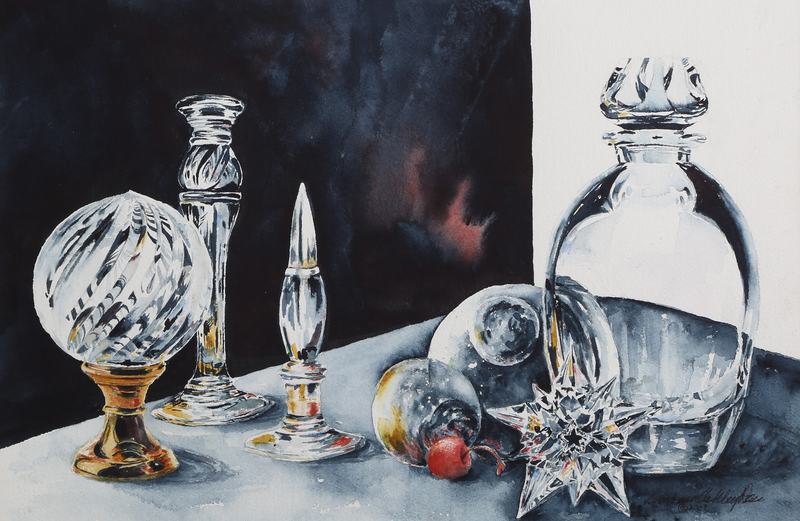 There are many different techniques used by watercolor artists and take considerable time to master. The amount of water effects the way the paint takes to the type of paper being used so an artist uses that for effect. Also, white or opaque paints aren’t used in traditional (also called “pure”) watercolour painting. To lighten colors an artist will add more water and for white the paper is just left unpainted. While watercolors have the advantage of quickness of application and dry time, the handling demands considerable skill as over painting of flaws is usually impossible. 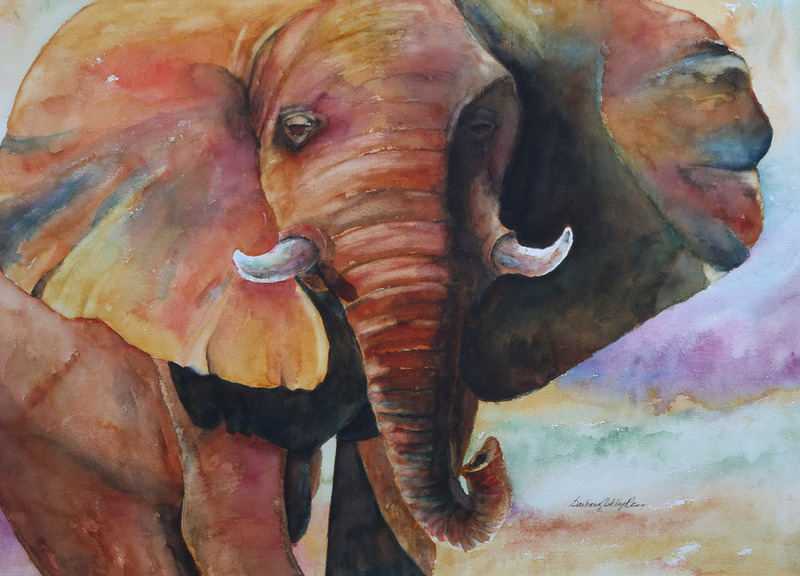 There are many other considerations for a watercolor artist as they put brush to paper to paint. The wonder of watercolors lie in the transparent effects achievable while still exhibiting brilliance of color. The delicate visual expression presented through watercolor is not attainable through other art media. 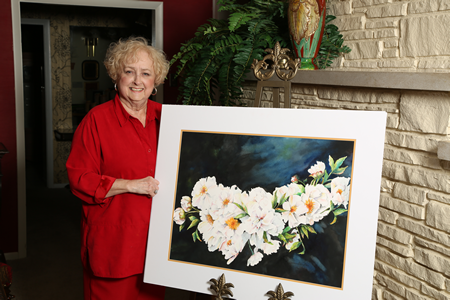 The years that Barbara Ross has spent perfecting her craft is apparent in her work; you’re sure to be impressed by the artwork for sale in her gallery! 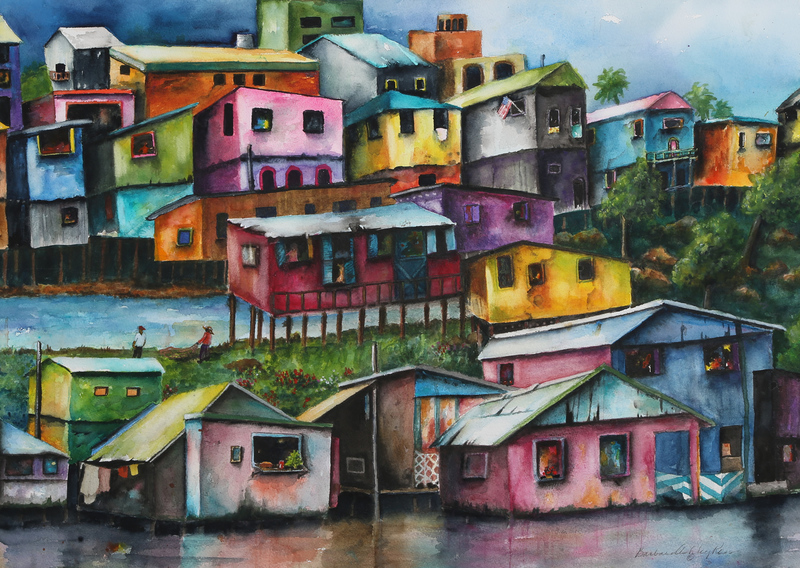 Take a look and you’ll see a unique and colorful collection that matches the personality of this passionate artist. Barbara would like to remind collectors that care should be taken in handling and displaying watercolor. Even though modern pigments are more stable, it is a comparatively perishable art form that is vulnerable to sunlight, dust, and contact with certain surfaces. 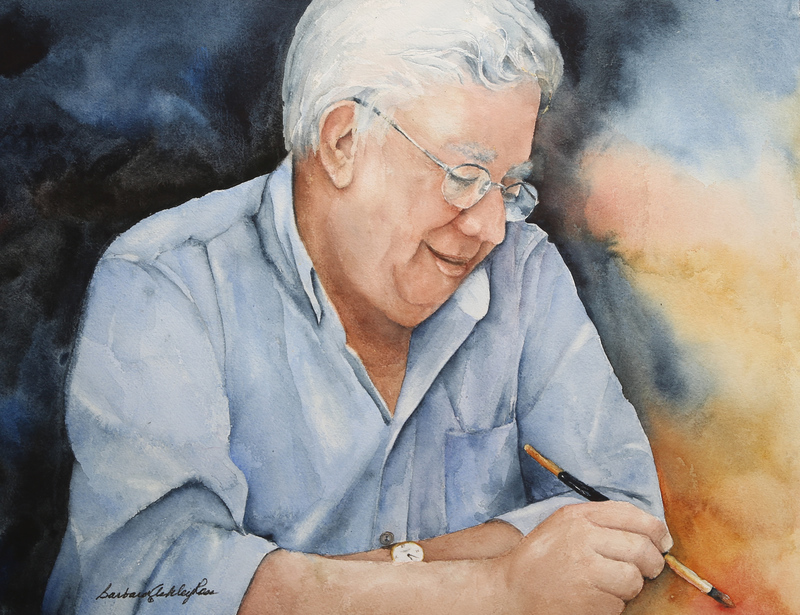 It is best to get advice or help from a professional about framing and showcasing your watercolor art. If you have questions she is a passionate artist who is always ready to share her knowledge. Also, contact her to purchase from her gallery or commission a painting! W: 20" x H: 26"
W: 28" x H: 21"
W: 20" x H: 27"
W: 27" x H: 19"
W: 22" x H: 29"
W: 13" x H: 21"
W: 28" x H: 18"
W: 29" x H: 40"
W: 20" x H: 13"
W: 19" x H: 24"
W: 16" x H: 11"
W: 22" x H: 14.5"
W: 20" x H: 28"
W: 31 1/2" x H: 43"
W: 19" x H: 12"
W: 11" x H: 11"
W: 23 3/4" x H: 33"
W: 21" x H: 29"
W: 15" x H: 13"
W: 24" x H: 27"
W: 32" x H: 42"
W: 16" x H: 19"
W: 32" x H: 39"
W: 25" x H: 32"
W: 23" x H: 29"
W: 35" x H: 28"
W: 17" x H: 16"
W: 21" x H: 27"
W: 28" x H: 34"
W: 2 1/2" x H: 4 1/2"
W: 13" x H: 15"